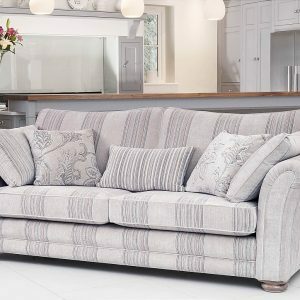 A gorgeous contemporary new sofa with softly swept pleated arms and elegant arched show wood legs that perfectly complement the design. 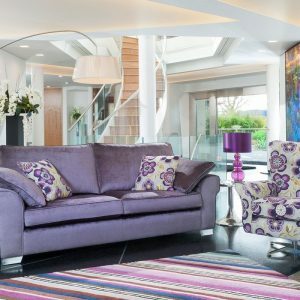 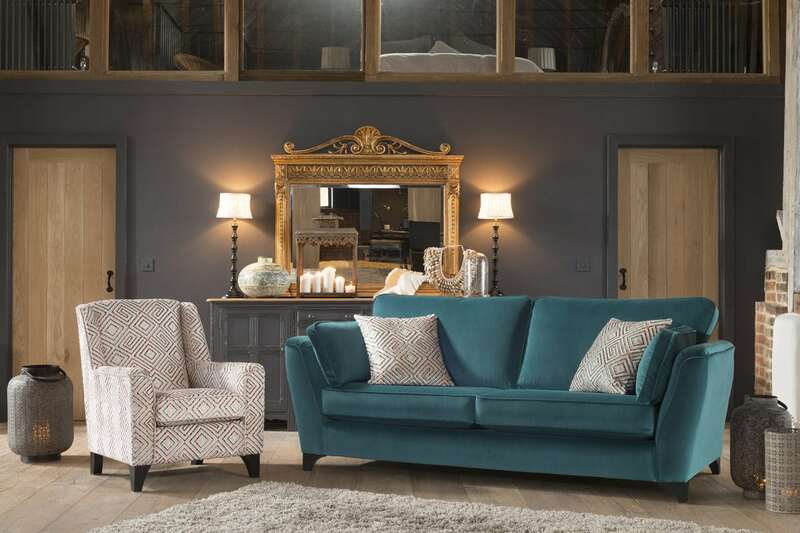 A wonderful new cotton look velvet with fabulous scatter cushion treatments and a selection of chenille plains that create the perfect style statement. 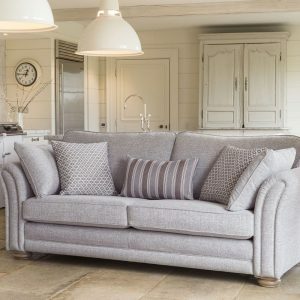 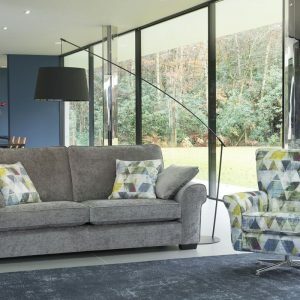 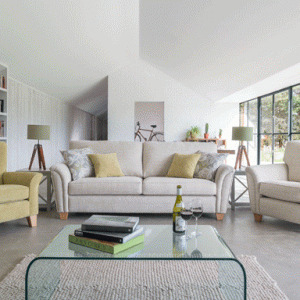 Sullivan features a beautifully tailored high arm complete with a soft bolster cushion, the perfect combination for lounging.